Our "Heat-Modified Fly Ash" is optimal for all types of concrete structures. It is next-generation's long-life, high-durability concrete material generated by fly ash come from coal fired power plants. 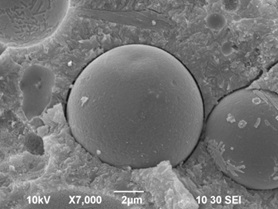 “Heat-modified fly ash” is a next-generation concrete admixture that overcomes disadvantages of the conventional fly ash. It is now available for many types of building structures and is gaining in popularity for use with houses, commercial facilities, public work projects, and engineering work. 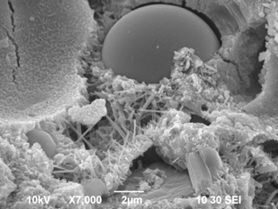 Fly ash (coal ash) generated at a coal-fired power plant has demonstrated the following effects when it is mixed into cement. 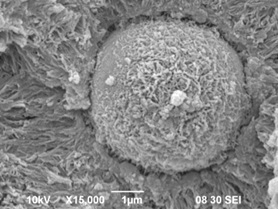 Pozzolanic reactions cause concrete to become denser, preventing penetration of water, carbon dioxide, and salt into the concrete, which in turn slows down deterioration of the concrete. 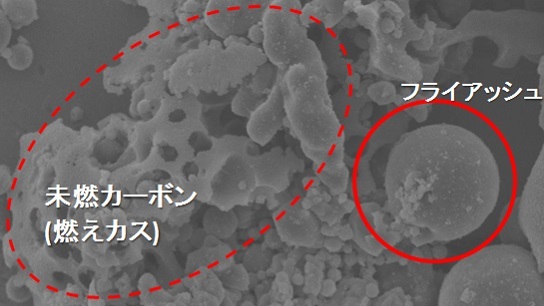 The pozzolanic reaction where the component of fly ash reacts with calcium hydroxide increases density of concrete structures over the long term Because fly ash concrete is highly dense, penetration of rainwater, which causes efflorescence, is prevented. 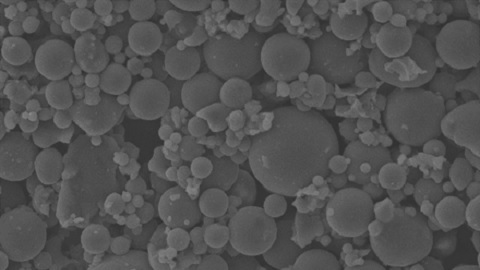 Fine spherical particles are mixed into concrete, which improves the flow as it is being poured. Because heat generation of hydration is suppressed by replacing a portion of cement with fly ash, cracking caused by expansion and shrinkage is prevented. The unit water amount is reduced, so deformation and cracking due to shrinkage occur less. Fine particles of fly ash fill the voids inside the concrete, which results in a beautiful finish. The reaction between aggregate and alkali that causes cracking inside the concrete is inhibited. It is becoming increasingly difficult to use natural resources for aggregate. However, using fly ash, it is possible to ensure the durability of concrete even when low-quality regenerated aggregate and sea sand are used. When mixing fly ash into cement, silica, the principal component of fly ash, slowly reacts with the calcium hydroxide that is generated from the cement hydration reaction. This is called a pozzolanic reaction. The compound generated by the pozzolanic reaction fills the gaps inside the concrete, preventing salt, water, and carbon dioxide gas from penetrating into the concrete, which makes it very effective in preventing salt water corrosion. This pozzolanic reaction continues to occur over several decades. Fly ash has the wonderful effects mentioned above, but there is a reason why it has not been eagerly promoted: unburned carbon. - It increases slump loss and air loss, making properties of ready-mixed concrete unstable. - It creates air pockets inside the concrete, causing an adverse effect on the strength of the concrete. Also, the ready-mixed concrete with fly ash containing high quantities of unburned carbon does not meet Japanese Industrial Standards (JIS) with regard to air amount. It has been proved that the adverse effects would be nil if the unburned carbon content were about 1.0%. Unburned carbon is removed from fly ash to make "Heat-modified Fly Ash". Heat-modified fly ash with unburned carbon reduced to less than 1% is available as a material for high-quality ready-mixed concrete that is compliant with JIS. It can be widely utilized for construction. "Heat-modified Fly Ash" concrete exhibits strong effects for preventing deterioration of buildings and civil engineering structures and also improving their long-term strength. It prolongs the life of concrete and extends a building life and repair cycles. Because "Heat-modified Fly Ash" utilizes fly ash that is originally a waste material and makes it possible to use regenerated aggregate, it can be said that "Heat-modified Fly Ash" is effective to reduce environmental impact. Many ready-mixed concrete manufacturers in Okinawa prefecture deal in "Heat-modified Fly Ash"-mixed concrete. Contact us if you need a detailed explanation and/or samples. Ryux inc.. Powered by Blogger.